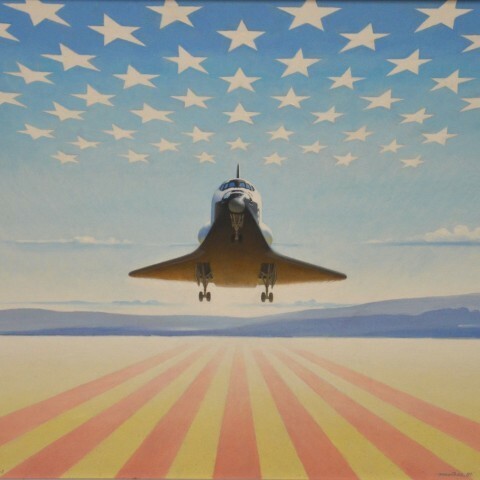 For more than six decades, Robert McCall (1919-2010) created art that documented America’s stories. 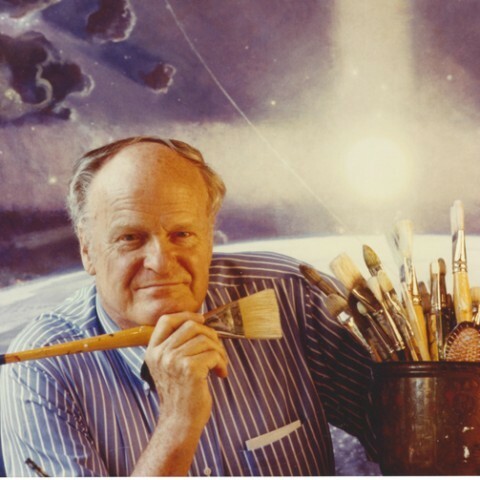 His work chronicled science, aviation, and space exploration while simultaneously imagining the future. 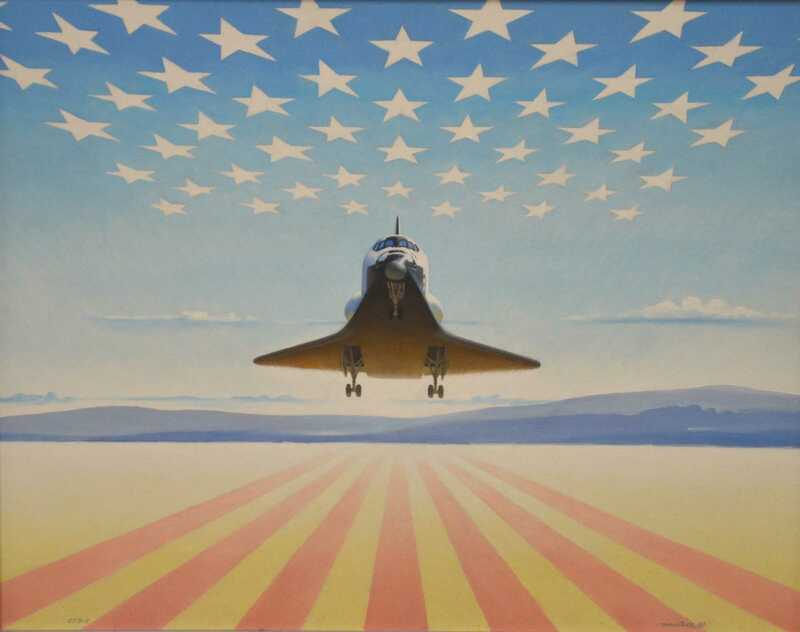 Seemingly ubiquitous, McCall’s artwork appeared on everything from large murals to small postage stamps, movie posters, advertisements, and even puzzles. 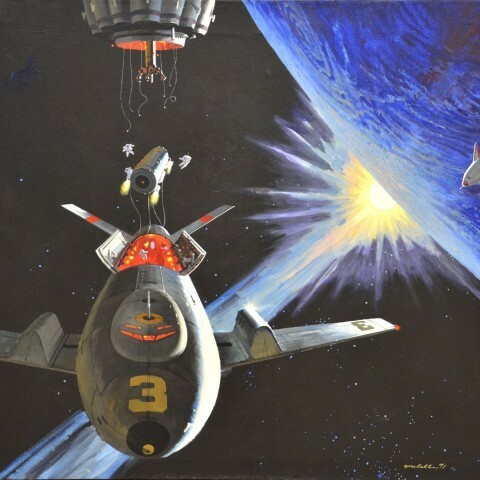 Robert McCall’s Universe offers a glimpse into a portion of the 200 pieces of artwork McCall donated to the University of Arizona’s Archive of Visual Arts in 2007. 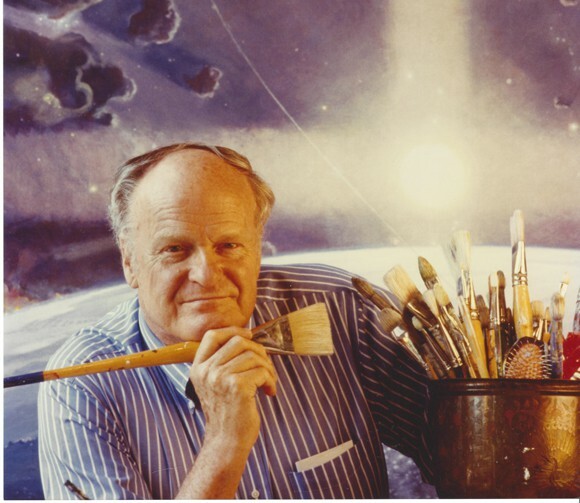 Supported by archival papers and photographs to document McCall’s creative process, the exhibition allows viewers to see the story behind his works. 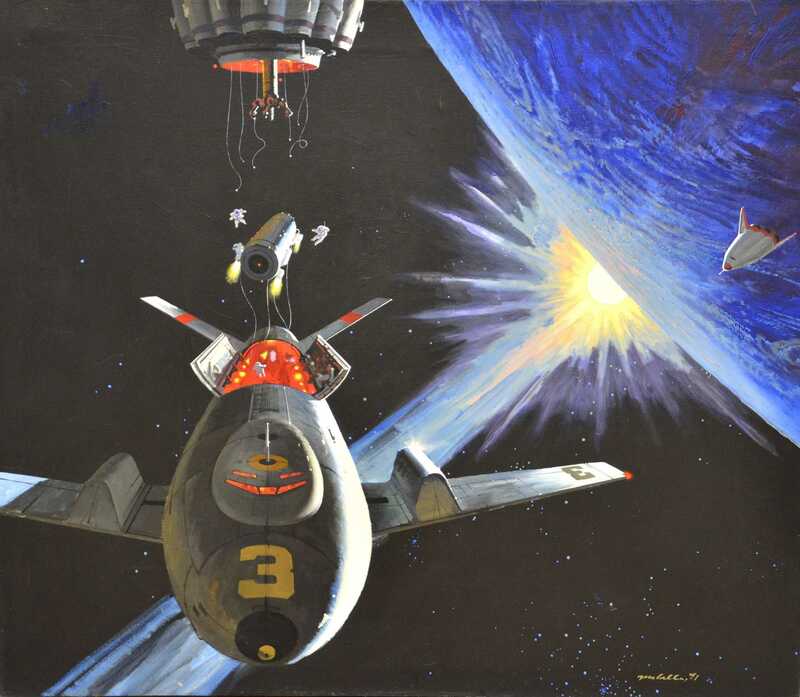 Exhibiting pieces that feature such notable moments in space history as Columbia Space Shuttle’s first landing and the concepts behind the movie 2001: A Space Odyssey, the exhibition provides a narrative for the myriad of ways that McCall’s “universe” has affected our own.